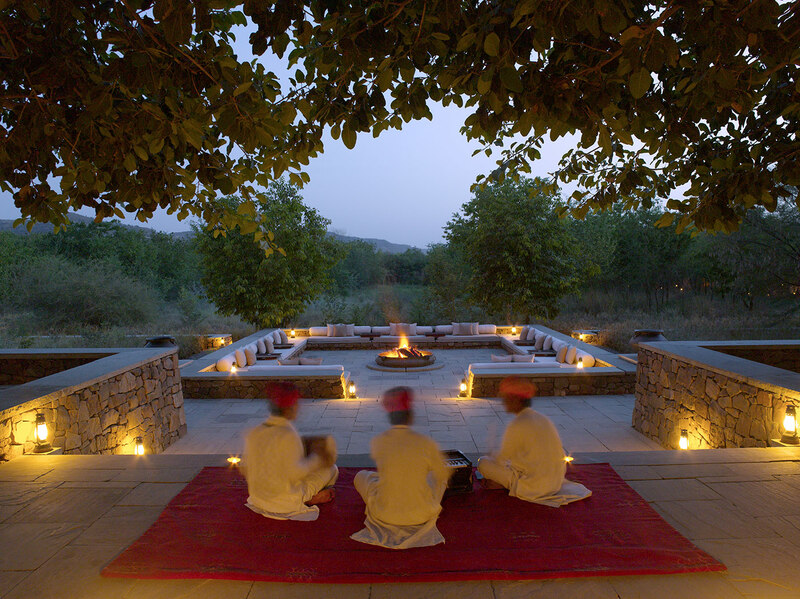 Aman-i-Khás whose name derives from the words aman – meaning peace in Sanskrit and khas – meaning special or privileged in Urdu or Hindi, is located on the fringes of Ranthambhore National Park, with a dramatic backdrop of the Aravali Hills. ‘Imbedded’ in this area, with an extraordinary history, that goes back a millennium, you will find yourself isolated from a population touching 1.2 billion. 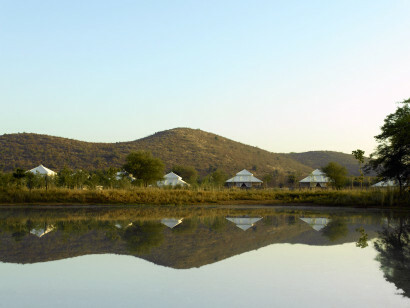 The camp comprises of 10 accommodation tents, similar in design, amidst a natural setting, reflecting a bygone time when gods walked the earth and men were holy. 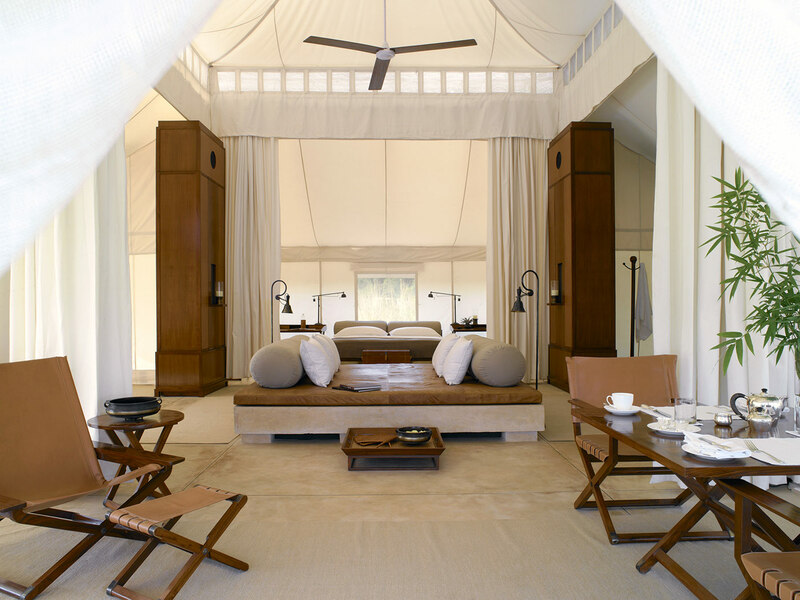 The interiors are a delight of luxury, simplicity and style. 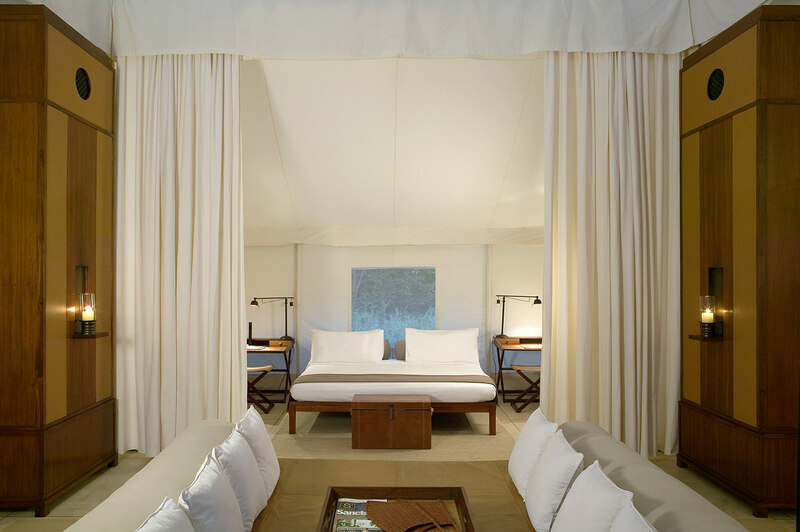 From draped cotton partitions and king size beds, to majestic daybeds and sunken baths, it is quite natural to feel that you have arrived in a forgotten world. The camp also offers a Dining Room Tent, Lounge Tent (reading library), Spa Tent. The Step well (Pool) is perfect for refreshing dips in the summer time, cooling off after a day spent in the heat of the desert. Designed by Mr. Jean-Michel Gathy , the camp started accepting guests from November 2003. At Aman-i-khas, each of our guests has their own ‘batman’. They are their private guide and serve them even before their journey starts. 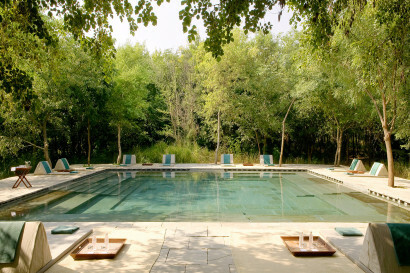 One of the most popular modes of travel to Aman-i-khas from Delhi is by ‘a train’. A batman would be there to meet you either at the airport or in the lobby of your hotel in Delhi to accompany you for your journey to the camp. On the outskrts of Ranthambhore National Park. Delhi is the most common international gateway to Aman-i-Khás. Trains to & from Delhi are the most convienent means of travelin. Visit to National Park & fanous 10th Century Ranthambhore Fort. 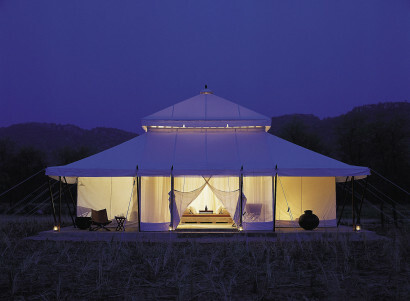 A 10 Tents property in the wilderness. Kids Ranger’s Program and Nature walks available. 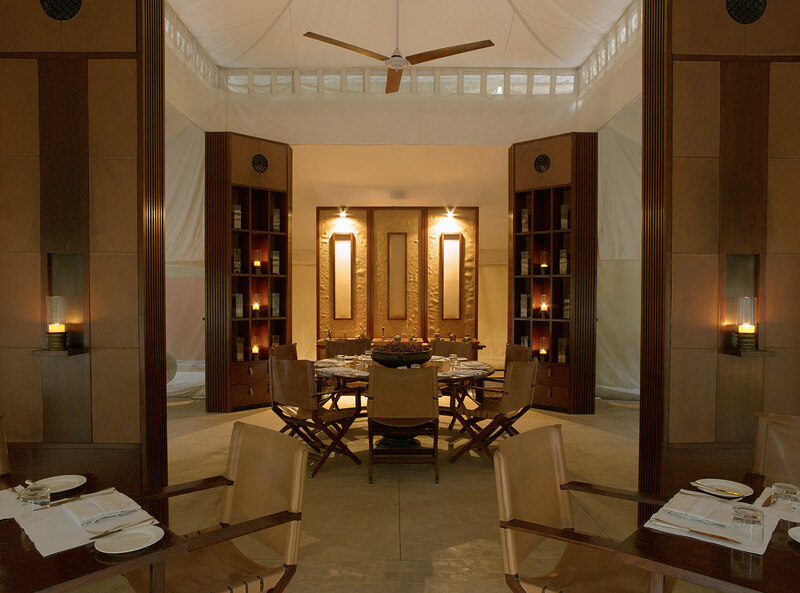 Dining tent Softly lit by lamps, the Dining Tent is furnished with one large central table and several smaller tables, all surrounded by chairs. 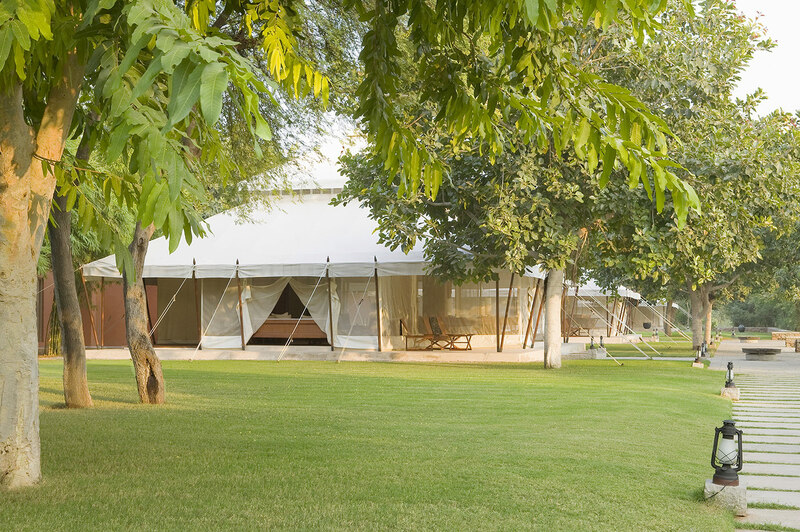 Indian cuisine and a range of Western dishes are served, and the freshness of produce is ensured as most of the vegetables and herbs are grown in the camp’s organic vegetable garden. Dinner is most often concluded around a roaring outdoor fire that serves as a focal point in the evenings. Fireplace Situated in the central area of the camp, this outdoor spot with its nightly log fires serves as an informal lounge and dining area. 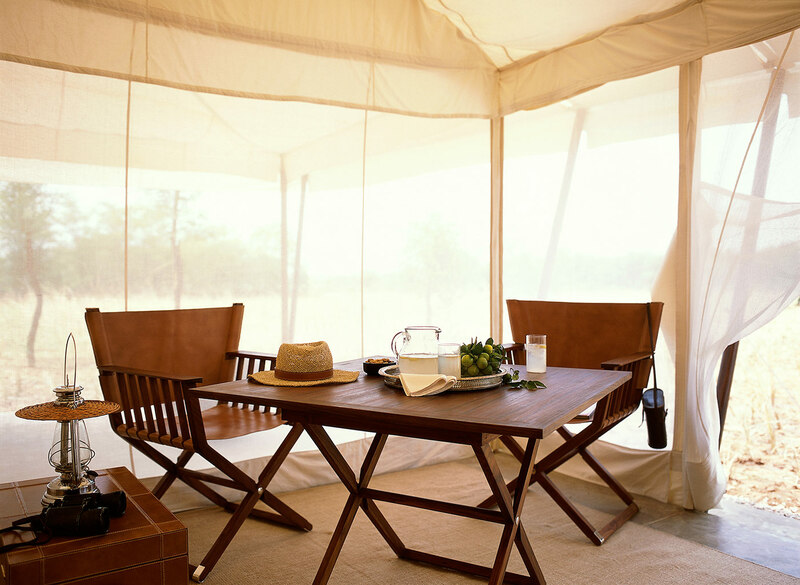 It is the ideal location for basking in the winter sun, as well as providing a relaxed pre- and post- excursion meeting point. Bush Dinner A secluded location within the camp with live cooking on Chula, Tawa’s & Tandoor while local musicians chant the night away under a blanket full of stars. The Spa Tent The Spa Tent has two separate treatment areas, each with two massage beds. 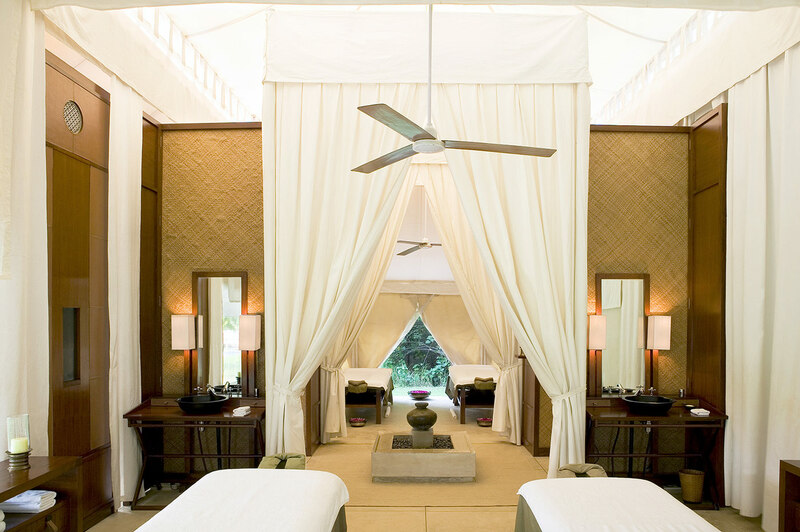 Treatments include massages, scrubs and traditional henna art using local herbs and spices. 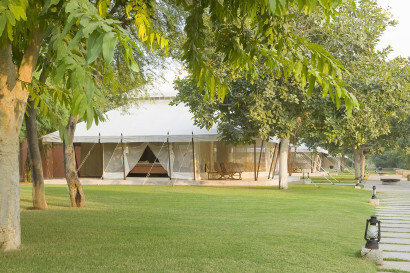 Guests can also experience yoga surrounded by nature. entred by a small fountain, the Spa Tent consists of two separate treatment areas, each featuring twin massage tables. 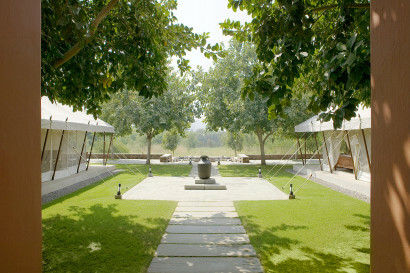 The therapists at Aman-i-Khás distil millennia of knowledge of the healing arts into rejuvenating spa treatments. 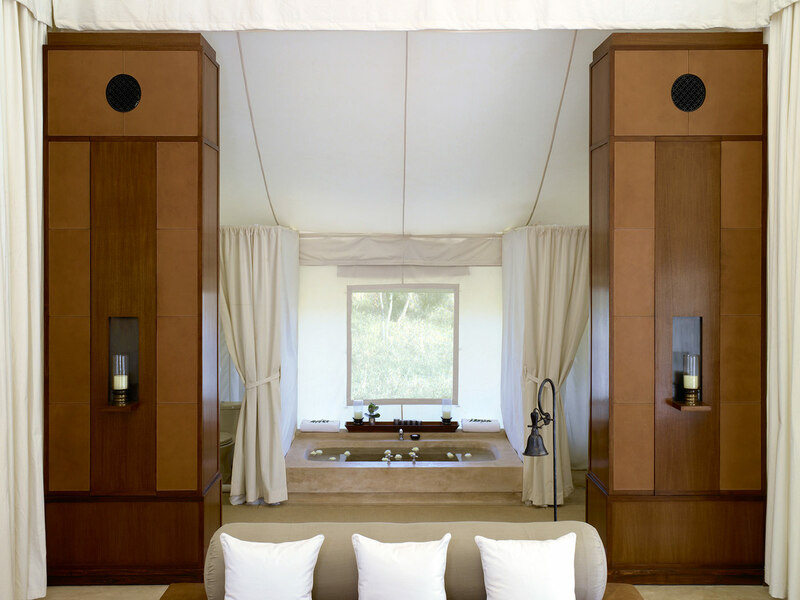 These include a variety of massages, scrubs, stretches, facials and foot treatments designed to soothe and revitalise. The Step well The Step well (Pool) is perfect for refreshing dips in the summer time, cooling off after a day spent in the forest. 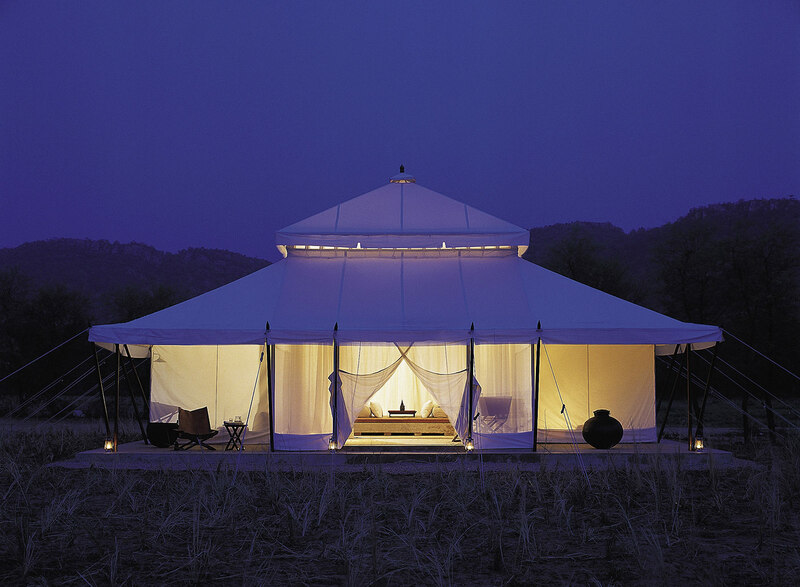 Small gatherings, meetings and Off sites with upscale weddings can be organized. Another feature of the camp is the small lake that has been created amongst the grass – khus – at the furthest end of the camp. 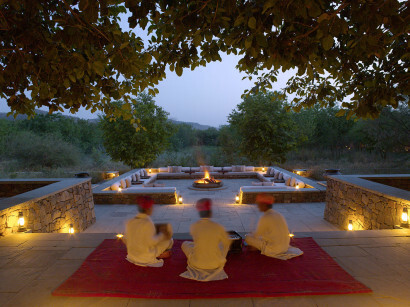 This has become a gathering place for flocks of colourful birds, nilgai, deer and other animals in the evening, and is a refreshing place to sit and observe, the living environment. We really delight in the fact, that our guests can eat clean, healthy, vegetables & fruits and salads prepared from our most “reliable fruit & vegetable supplier” our very own organic wonder, the 2 vegetable-fruit-and herbs gardens.